Energy Mizer is the Southeast's leader in warewashing and laundry services! Welcome to our site. We are one of the largest and most experienced warewashing and laundry service companies in the southeast. From commercial dish machines to hand soap and everywhere in between, we can custom engineer a program that's right for your business. 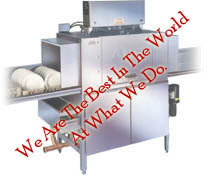 For over 40 years Energy Mizer has been serving the warewashing and laundry management needs of restaurants, hotels, and institutions in and around North Carolina, Virginia, and South Carolina. Our knowledgeable staff will help you choose the exact equipment and chemical products to meet your specific needs. Call us to learn how our services can help you conserve energy, maintain health standards, reduce down time and optimize cost control. Energy Mizer delivers the performance and reliability on which you can depend.